Travel off-season. Compared to people who are working full time, retirees have a much more flexible schedule. Traveling during off-peak seasons is a great way to visit a destination on a budget. Everything from airfare to hotels can be significantly reduced if you don't go at the height of tourist season. You will have to do some research to see how busy a destination is during an off season, and if it is a good idea to visit then. If you're someone who can deal with inclement weather and still enjoy your visit, then off-peak travel can reduce your travel budget by quite a bit. Home swap. If you have a home in a sought-after location, then home swapping could be a great option to save on travel costs. Home exchange websites typically provide access to a searchable database of other people interested in home swapping in exchange for a yearly fee. People who swap homes obviously don't have to pay for a hotel. You also have access to a kitchen, so you don't have to eat out all the time and can save on dining costs. There will probably be a washer and dryer, so you don't have to bring as many clothes. Home swapping is a great option for extended stays, which can be a perfect fit for retirees who really want to get to know a new location from a local perspective. %VIRTUAL-article-sponsoredlinks%House sitting. If you aren't comfortable with the idea of having strangers sleeping in your bed, then another frugal alternative is house sitting. Usually, the house sitter takes care of the homeowner's pets and keeps an eye on the property in exchange for staying there for free. Hostel. When we hear the word hostel, usually we picture young backpackers exploring the world during a gap year, but retirees are welcome there, too. Hostels are generally much more affordable than hotels. Many hostels have private rooms in addition to dormitory style beds if you're not comfortable sharing a room. You can also meet many young travelers and get inspired by their ambition. Repositioning cruises. Repositioning cruises are discounted cruises that are primarily for moving the ship from one ocean to another. The price is usually much less than normal cruises because these trips are typically during off-peak seasons. There are some caveats, though. The repositioning cruises are often one way only. If you're planning to head back home right after the cruise, you will also have to pick up a one-way flight ticket. However, if you're continuing to another destination as part of a long-term adventure, then repositioning cruises could be the right choice. Volunteer to be a campground host. If you like camping and traveling in the U.S., then volunteering to be a campground host at one of our national parks is an affordable way to do it. You have to do some work, but it doubles as a chance to give back to our beautiful national parks. Some campgrounds offer housing, but most offer free recreational vehicle sites with hookups. It's a great way to see more of the U.S. without having to pay a lot of money for hotel stays. Credit card reward programs. If you have good credit and use your credit cards responsibly, then you might want to take advantage of a credit card that offers travel rewards, such as those offered by Barclays, Chase and Capital One. This option will only work for responsible credit card users. You will need to pay off your credit card balance every month to avoid paying a lot of interest to the bank. You can accumulate points toward your travel with everyday regular spending. Most of the better travel cards have an annual fee, so you'll have to see if the rewards you are likely to get are worth it after paying that cost. Traveling can be an inspiring way to spend your retirement years, but you need to take the time to budget and plan for it. 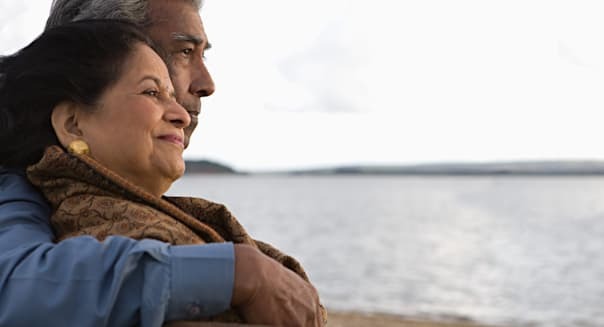 Even if your finances don't allow for elaborate travel, retirees have lots of options to travel frugally, especially if they have a flexible schedule and are willing to consider some of these innovative travel arrangements.